Take 5 | There are 10,080 minutes in a week. I'll just take 5. 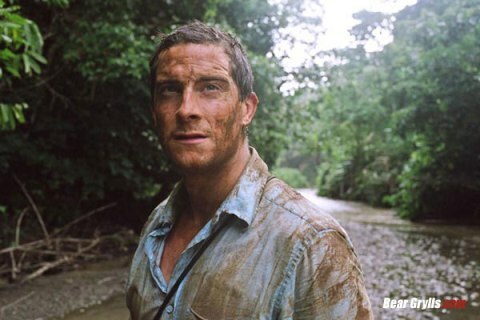 Bear Grylls was my hero. Was. I don’t know if you ever watched the T.V. show Man vs. Wild but it was one of my favorites. Bear Grylls, a British adventurer, would lead the audience into a remote wilderness and would show you how to survive if you were ever stuck in those conditions. The claim was that he would survive for several days in that environment just like a lost hiker might be forced to do. He would build a shelter, eat weird things and claimed, at times, to survive with only a small amount of water. He was my hero. A few years into the show, reports began to leak that the show’s claims weren’t exactly legitimate. Though the show was set up as if he were out there alone, he actually had a whole crew with him. On top of that, there were even reports that Bear would often stay in hotels after the cameras shut off. It broke my heart. Bear Grylls was pretending to be something he wasn’t. I don’t know why that bothered me so much. All of television is made up of individuals pretending to be something they’re not. They’re called actors. Unfortunately, the religious world can also be filled with these same individuals. We don’t call them actors though. They’re called hypocrites. One of the greatest problems that can turn people away from the church is hypocrisy. Even the most genuine truth seekers can see the hypocrisy in the lives of many and are turned off by Christianity as a whole. It’s unfortunate that the actions of some can cause many to see the Lord’s church as hypocritical. That’s what can happen though. Apparently, hypocrisy has been a problem within the church for a long time. In James 1:22-25 we read the following: “22 But prove yourselves doers of the word, and not merely hearers who delude themselves. 23 For if anyone is a hearer of the word and not a doer, he is like a man who looks at his natural face in a mirror; 24 for once he has looked at himself and gone away, he has immediately forgotten what kind of person he was. 25 But one who looks intently at the perfect law, the law of liberty, and abides by it, not having become a forgetful hearer but an effectual doer, this man will be blessed in what he does.” James told the Christians that he was writing to that it wasn’t enough to just be hearers of the Word. We need to be those that practice those things. We need to be those who DO. Those who know God’s Word yet don’t make the changes in their life are compared to a person looking into the mirror. The person’s hair is disheveled, there’s stuff stuck in their teeth and their clothes are a mess. The person knows this but turns away from the mirror and forgets all about those things. When you stand in front of the mirror that is God’s Word, what do you see? Do you see a person that needs to make some changes? Do you see a person that needs to stop hearing only and start doing? If so, it’s time to deal with those things. Don’t just turn away and forget about what you’ve seen. It’s easy to go to church on Sunday, read the Bible on occasion and claim to be religious. But are we really living out God’s Word in our lives? If not, we’re pretending to be something that we’re not. We’ve become like the people on television who just act a part. Don’t just play a Christian on Sundays. Make it your life. Am I a Fool For Believing in Creationism? 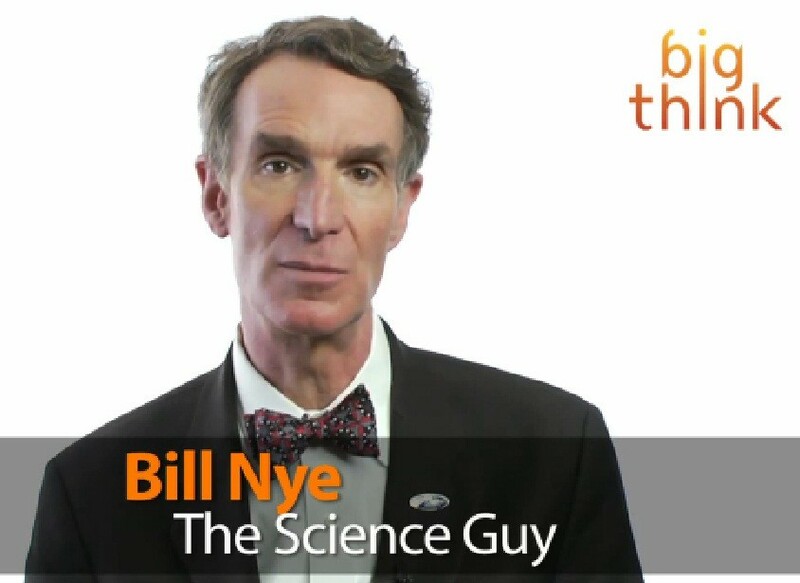 I can still remember sitting in my middle school science room as a short and awkward kid watching “Bill Nye the Science Guy.” We loved it (mostly because in middle school you were excited any time you could watch a video instead of listening to a lecture). However, as a Christian I had to listen carefully. Not everything that he said was something I agreed with. This became even more evident this week. Bill Nye recently released a video for “Big Think” on YouTube in which he expresses the need for our country to let go of Creationism and accept the reliability of Evolution. He even went on to say that if grown-ups “want to deny evolution and live in your world that’s completely inconsistent with the world we observe, that’s fine. But don’t make your kids do it. Because we need them. We need scientifically literate voters and taxpayers for the future. We need engineers that can build stuff and solve problems.” In other words, those who believe that God created the world are foolish and need to wake up. I’m not writing this blog so that Christians will post hateful things about Bill Nye. That’s certainly not what Christians are called to do. Remember that he’s not alone in what he believes. I’m also not writing this to start an argument with those who disagree (though I would love to have the opportunity to sit down with those individuals and have a respectful conversation about it*). Those types of arguments too often go around in circles and never result in anything positive. The universe had to come from somewhere. As a Christian, this idea has always been my anchor for believing in God. Even in moments when I found myself questioning my belief system, this principle helped pull me back. The truth is, our universe had to have come from somewhere. The only two options are that it has always existed or at some point it came into existence. Since we know that matter can’t be eternal (even scientists recognize this with the Second Law of Thermodynamics), the universe must have a beginning. 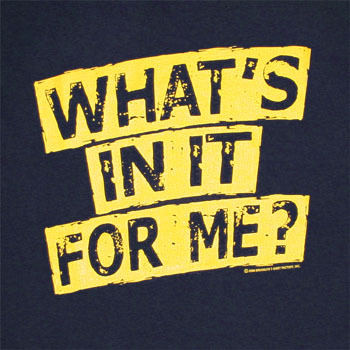 My question is this: Is it more reasonable to believe that the universe (or whatever Evolutionists would say came before our universe) just popped into existence, ignoring the Law of Cause and Effect, or that there is a God who created the universe? Some may try to convince you that believing God created the universe is like believing in magic. I, on the other hand, cannot think of anything more magical than an entire universe popping into existence with nothing causing it to do so. To me, that’s not foolish. That’s using reason. I know there are many other reasons for believing in God as a Creator. However, I believe this one alone is enough to show that we as Christians are not ignorant fools. We can reason as well. *If you disagree, I would love to spend some time talking with you about it. Rather than commenting on the blog (I’ve never known any issue to be resolved via the comments section), please email me at jbroberts1986@gmail.com. It won’t be a me vs. you kind of conversation. Let’s just look at the facts together. I enter every conversation with an open mind and heart. I just ask you’ll do the same. – Do we choose a church home because we think it’s a place where we can make a positive impact of because it has the programs, preacher and people that we like? – Do we decide to attend (or not to attend) Bible study on Wednesday night because of how it may encourage (or discourage) others or because we think it will benefit us? – Do we determine whether a time of fellowship was successful by the impact it had on others or by our own enjoyment? – Do we think a time of worship is unsuccessful because it failed to please God and uplift others or because it was what we prefer when it comes to worship? These are all areas where we can tend to focus inwardly rather than outwardly when it comes to being together with the family of God. It’s so easy to focus on self. However, think of how the Christians were in the first century. In Acts 2:42-47 we can read about their attitudes. Verse 45 tells us that they were selling their possessions so that they could give to those in need. These were people that were outwardly focused. They wanted to do whatever they could to help, encourage and uplift their fellow Christians. Shouldn’t that be our same goal within the church today? Here’s something we can try that I think will help us shift from an inward view to an outward view when we gather together. The next time you gather with fellow Christians (whether for worship service, Bible class, for fellowship, etc. ), take a few minutes to look around. Who’s not there that usually is there? Unfortunately, we are so inwardly focused at times that we don’t even recognize when certain individuals have been gone for weeks. After you notice who’s missing, take some time during the week to encourage those individuals. Maybe it’s a phone call to make sure things are going well. Perhaps you can send an email to check in on them. Don’t make them feel like you’re the attendance police. Help them see that you noticed they were gone and wanted to make sure nothing serious was going on. Hopefully in time that practice will help us to focus more on what we can do for our brothers and sisters and less on our own personal preferences. Interestingly enough, the more we focus on others and help them grow, the more we will find ourselves growing. Funny how that works. I had to think very carefully before writing this blog post because I didn’t want it to turn into a rant. The truth is, this is an issue that I need to work on just as much as the next person. I still think it needs to be said though. Do we ever think about how what we say and do affects other people’s souls? Social media has become unbelievably popular over the past five years. It seems like just about everyone I know either has a Facebook or Twitter account. Why not? It’s a great way to stay connected with friends and to keep up with the world around us. In fact, as I’ve stated in an earlier post, these social media outlets can serve as a great way to reach out those who do not know Christ. Unfortunately, I’m afraid that these very same resources, when used incorrectly, can have the exact opposite results. 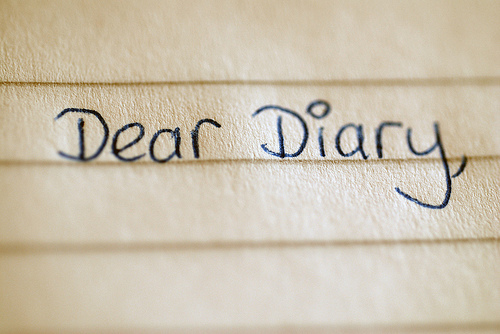 Far too many times we treat our Facebook and Twitter accounts as our own private diary. We post statuses and tweet messages as if we are writing in a personal journal that we’ll slide right back under our pillow. The problem is, they aren’t private at all. Every one of our friends and sometimes even the whole world can see what we post online. Perhaps it’s the fact that we can hide behind a computer to say these things and not have to say them to someone’s face that makes us more comfortable. Perhaps some of us just don’t care. As Christians, we need to be mindful not only of what we say online but how we say it (the same should go for the way we speak when we’re not online). We need to remember that these online resources might be our only contact with non-Christians that we know. Are the things we post online encouraging them to dig deeper for the truth or causing them to slam the door on us? Even a post that is biblically true can be harmful if it’s said in the wrong way. I’m sure we’re all familiar with the verse from Ephesians 4:15 which tells us to speak the truth in love. The same should be true when we share truth on Facebook or Twitter. An excellent example can be seen right now with the build up to the presidential race later this year. Everyone has an opinion when it comes to politics and social media tends to be the place most people turn to share their opinions. I have no problem with that (and I don’t think God does either) as long as we are doing so in a respectful way. However, when we start bashing a political candidate in a slanderous way or when we begin to say hateful things about those who have a different opinion, there is no benefit. Those that agree will simply “like” or “re-tweet” while it will push those who disagree further away. Nothing is accomplished that way. Instead, we need to share our thoughts in a loving and respectful way. When individuals reject the message of Christ because of what it says, the fault is not our own. If, however, people are rejecting the message because we continue to throw it at them in a hurtful and unloving way, I believe God will hold us accountable for that. So, each time you post a comment, share a post or re-tweet someone else’s thoughts, make sure you think about it first. Don’t only ask yourself whether the statement is true. Ask yourself whether posting it will show the lost that we love them and care for their souls. If it doesn’t, find another way to say it. You’re not the only one who will see what you post or share. One of my new favorite shows on TV is called Hollywood Treasure. It’s about a company that buys, sells and auctions movie memorabilia. I’ve seen everything on there from movie props and costumes to behind the scenes equipment. People pay big bucks too. I saw a Yoda puppet go for more money than I may ever have in my life! 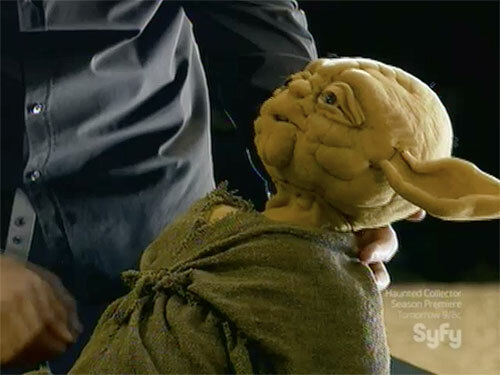 Occasionally on the show an individual will bring something in but won’t have any sort of documentation to prove that it’s authentic (like the Yoda puppet). In times like these, they call in the experts. Usually a person who specializes in that area will come in and take a look at the item to see whether it’s the real deal. The company buying the item can’t simply take the seller’s word for it. That would be way too risky. There was a time in history in which individuals weren’t really allowed to read the Bible for themselves (most people at that time lacked the ability to read in the first place). Instead, they would simply have to listen to the priest/preacher who was teaching and take their word for it. In some cases, the Bibles were literally chained to the pulpit to keep the common man from reading it on his own. Today, there are few “churches” that would try to persuade people not to read their Bible on their own (though I’m sure there may be some religious groups that do). However, we still have a large problem with individuals who simply take the word of another when it comes to reading and understanding God’s word. When faced with difficult questions about the Bible, far too many simply reply, “Let me ask my preacher,” or “let me check so-and-so’s commentary.” While there is nothing wrong with seeking the wisdom of another when it comes to the scriptures, there is a problem when we automatically take that person’s word for it instead of looking into God’s word on our own. In Galatians 1, Paul warned the Galatians not to listen to those who were teaching things different than what they had originally been taught. The only way they would know how to do this is if they knew what they had been taught originally. The same warning goes for us. When we hear others talking about spiritual matters, we need to call in the expert. God is the only one that can determine whether something is truth or not. By looking at His word, we can know whether an individual is sharing the real deal or a fake. On Hollywood Treasure, when the company is wrong about an item it can put them in a tough spot. If they put something into auction that turns out not to be authentic, they can have all sorts of problems on their hands. The dangers for us are even greater. We can’t afford to believe something is authentic truth if it’s not. Our consequences will not be monetary but eternal. Don’t take the risk. Call in the expert! As the husband of a teacher, I’m always learning something new. Last night my wife taught me things about the English language that I had never even heard of (like what a digraph is and that F, L and S are bonus letters). You would think I would have a better understanding of the language that I speak every day but I’m always learning. After thinking about those things, I found myself wondering if it’s the same way with spiritual things. Am I learning something new every day? Or do I simply stay content with the knowledge that I already have? I would hope that each one of us looks for ways to grow in their knowledge of the scriptures every day. In fact, as my teacher Michael Hite would say, we should be those who love to learn. We should be those who desire to learn something new every day. In the New Testament we even read that Christ grew in wisdom (Luke 2:40). If Christ even had a need to grow in wisdom, how much more do we have that need? I can think of three easy ways that we can grow in our knowledge of God’s word every day. First, spend time reading the Bible every day. In Scripture we’re told that the righteous man is he who spends time meditating on God’s word both day and night (Psalm 1:2). How can we expect to learn something new about God’s word every day if we aren’t spending time reading its pages? Imagine someone trying to become a doctor without ever opening a book on human anatomy or medicine. It’s just as crazy to think that we can grow as Christians without spending time in the Bible each day. And I know the excuse too. “I just don’t have the time.” I know the excuse because I’ve tried to use it before. The truth is, that statement is simply a lie. It’s not that we don’t have time. We simply don’t want to give up the time that we have for that purpose. Do you eat breakfast in the morning? Read a chapter while you eat. Do you drive to work each day? There are plenty of smart phone apps that allow you to listen to Bible audio for free. Usually it’s even easier for us to make time if we’ll try. We may just have to give up one of the dozen television shows we watch during the week. Second, spend time reading other spiritual books, articles, blogs, etc. Obviously since you are reading this blog you are already doing this to some extent. If we truly love to learn about God’s word, we’re going to want to read things that talk about it. Even Paul told Timothy to bring his books (2 Timothy 4:13). Paul was a reader too. Now, if you are one of those individuals who struggle to even find time to read the Bible during the day, this may be something that you have to build towards. However, once you get into the habit of reading, hopefully it will become something you enjoy and you’ll want to do it more frequently. One word of caution: we need to remember that these books, articles, etc. were all written by people. For that reason, we can’t simply believe everything that we read. Any time we are reading something with a religious tone we need to make sure it doesn’t teach something that stands opposed to God’s word. 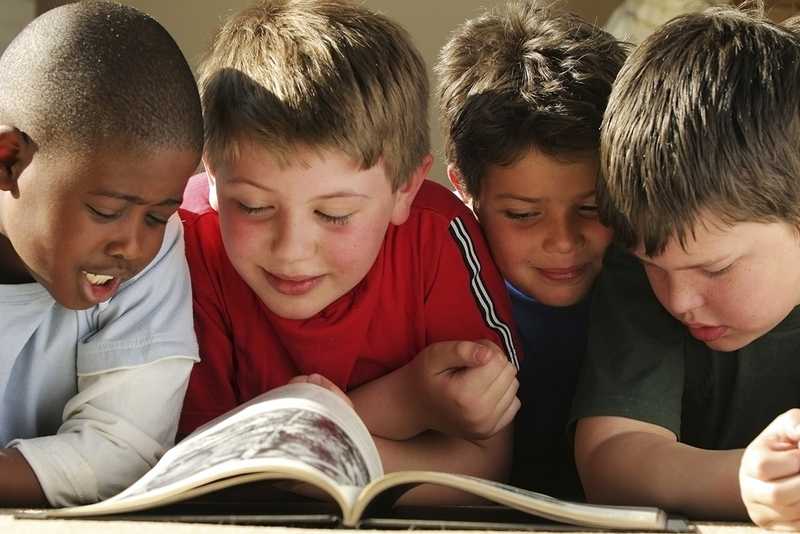 As long as we do that, reading other spiritual books can be a great way to learn each day. Finally, take advantage of the opportunities that your local congregation offers each week to learn. Look at the first Christians in Acts 2:46. Every day they were in the temple so that they could continue to grow in knowledge. Just by reading the end of that chapter you can sense that those Christians wouldn’t miss an opportunity to learn. Now, you can spend all day with a person arguing whether or not we are required to be at Bible class on Sunday morning or Wednesday night. My question is, if we are those who love to learn about God’s word, why would we want to miss? Whether it’s weekly Bible class, a special seminar or some other opportunity to learn during the week, why would we not want to be there? Chances are that if we are consistently missing those opportunities, we’re really not interested in learning. We may even just be trying to do the bare minimum. That may not be the case for every person but if we only ever gather with other Christians on Sunday morning for worship, we need to carefully examine the reasons why. The reason just may be that we haven’t grown to the point where we love to learn about God’s word. I hope that we can all become those that love to learn, especially when it comes to learning about God’s word. Developing an attitude like that will help us grow and develop our faith in great ways. This week, look for ways that you can grow in your knowledge of God’s word every day. I was reminded of this once again this past weekend as I flew to Oklahoma for a few days. I’m not sure if it’s the feeling I get when the plane is in the air or if it’s just the thought that I am rocketing through the clouds in a metal box with wings. Either way, I really don’t like it. My thought is, if I were meant to fly I would have been born a bird. During my usual pre-take-off prayer I prayed the same thing I do before every flight: “God, I pray that you will protect this flight. 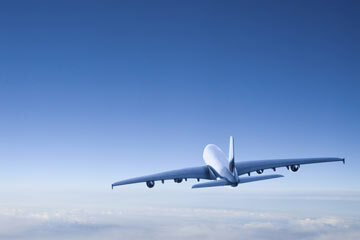 I pray that you will help us land safely at our destination. I pray that you will allow the flight to be smooth and safe.” I’m sure there was more (I tend to pray most the time I’m in the air…I’m telling you, I really don’t like flying), but you get the point. After the prayer, I tried to calm down by reminding myself to trust in God. I had prayed for a smooth and safe flight and I needed to trust that God would provide those things. There was a problem though. Each and every time the plane would shake a little bit, I would become afraid again. I had prayed for a smooth flight and yet the plane was shaking. “If I can’t trust God to keep the flight smooth, maybe it’s not going to be a safe flight either,” I would think to myself. With that, my trust went out the window and I spent the rest of the flight uneasy and nervous. Needless to say, I was so thankful when the plane finally landed in Oklahoma City. Between the flight down and the flight back to Denver I was able to do some reflecting on the flight. It was during that reflecting that I realized something. I hadn’t been defining “trust” in the right way. You see, I saw trust as believing that God was going to do what I had asked Him to do. I had prayed for a smooth and safe flight. Therefore, in my mind, trusting in God was believing that He would give me those very things. That may sound all well and good but that’s simply not how the Bible defines trust. Trust is not believing that God will do what we’ve asked Him to do. Trust is believing that God will do what He has promised to do. Those are two very different things. Trust involves recognizing that God’s plan is far greater than anything we can come up with. Just look at Christ when He prayed in the garden before His trial and crucifixion. In Matthew 26:39 Jesus prays, “My Father, if it is possible, let this cup pass from Me.” However, He continues His prayer with, “yet not as I will, but as You will.” Christ’s trust in God did not rely on whether or not God would allow that “cup” to pass. The trust in God that Jesus showed was far greater than that. Jesus knew that God’s plan and will were far superior to the will of man. Trusting in God is recognizing that He knows best, regardless of what we may want. With that trust, we can have the same confidence we read about in places like Matthew 10:28 and Romans 8:31. With God on our side, we have nothing to fear in this life. Now, that involves obedience on our part. If we aren’t living the life that God calls us to lead we certainly should fear losing our lives. However, if we are living faithful lives and trust that God is in control (regardless of the outcome), then we can be at peace. My flight back to Denver was much easier (though I can’t lie, I still did a lot of praying). Once I realized that God was in control and that I could trust in His will rather than my own, it was easier to be at peace about things. I knew that whether the flight was bumpy or smooth, God was still in control and that regardless of what happened, I was right with God and had nothing to fear. If you are having a hard time putting your trust in God, maybe it’s because your definition of trust looked like mine. Perhaps you are confused why God hasn’t been answering your prayers in the way that you want. Remember that trust in God is not dependant on whether God does what we want. Trust is recognizing that God is in control and that if we are right in His eyes, we have nothing to fear.